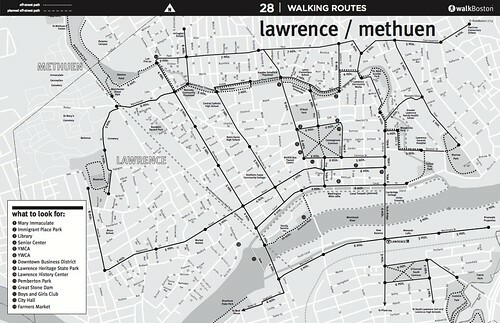 Check out this Map of Lawrence Walking Routes! Check out this walking map made by WalkBoston, which makes walking safer and easier in Massachusetts to encourage better health, a cleaner environment and vibrant communities. Read more about Check out this Map of Lawrence Walking Routes! Groundwork Lawrence will be hosting two MassLIFT AmeriCorps members - a Service Learning Coordinator and a Community Engagement Coordinator. The Community Engagement Coordinator at Groundwork Lawrence will assist GWL’s Project Director, who is responsible for managing the design and construction of open space and infrastructure improvements throughout Lawrence, including the Spicket River Greenway, Riverwalk Trail, the Shawsheen River Trail, the Manchester Lawrence Branch Rail Trail and community gardens. 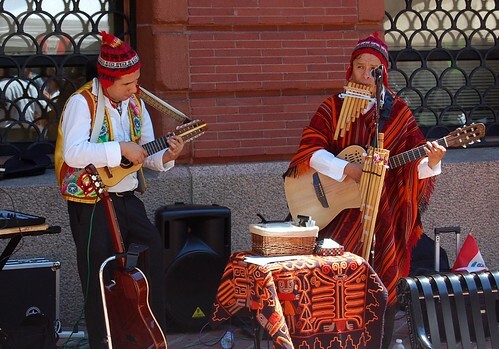 Check out this week's performances at the Farmers Market - Peruvian's Musical Group Son del Sol. Also featuring at 2:30pm storyteller Nicolette Nordin. Come to enjoy the fresh flavors of this market's season. Celebrating Urban Birds with Groundwork Lawrence! Groundwork Lawrence has a lot of new and exciting projects going on all over the city, but one area that has been getting a lot of attention recently is Manchester Street Park. Read more about Celebrating Urban Birds with Groundwork Lawrence! GWUSA is looking for applications from qualified candidates for the position of Executive Director. Details about how to apply and the position opening are contained here: 2013 GWUSA ED JOB DESC. Applications are due by June 30, 2013. If you have questions about the position or the application process, please email: executivedirector @ groundworkusa.org. Just over a week ago, a small group of hardy volunteers braved the cold, wet weather to be a part of our very first day testing the water quality of the Spicket River. We met in the parking lot outside Groundwork’s office shortly after 6 am. With temperatures barely reaching into the 40s, and light rain beginning to pick up, it wasn’t exactly an ideal morning to be outside. In spite of the weather, we soldiered on, armed with our swing-sample poles, sample bottles, high tech YSI Multi-Meter, and coolers. I’m a family doctor in Lawrence. Like my colleagues around this country, I spend much of my effort caring for people with obesity-related chronic illnesses: Type 2 diabetes, hypertension, coronary heart disease. Partnering with patients to control these disorders is important and rewarding work, and I feel fortunate to be able to help. Yet I can’t shake the frustration of knowing all the pain, the disability, and the costs to individuals and to our economy related to these illnesses are almost entirely preventable. Technically, it has been spring here in Lawrence for a few weeks, but it is FINALLY beginning to feel like it. Birds are beginning to sing, and some early migrants are returning from a winter spent further south. Along with the warmer weather comes a new season of outdoor events and service opportunities with Groundwork Lawrence! On Saturday April 13th Groundwork Lawrence will be hosting a community "charrette", a group meeting to discuss ideas for the design of a new pocket park. The Facella Lot is a 7,400 square foot vacant lot located along the Spicket River at the corner of Brook Street and Newbury Street. 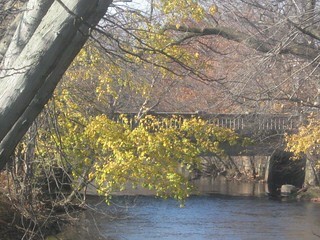 The newly reconstructed East Haverhill Street Bridge, and the gently flowing Spicket River provide a beautiful backdrop to this pocket sized future park. We want to hear what kind of park you think will best serve the People of Lawrence.